I’m a Dutch young adult living in the North of the Netherlands, born in 1991 but I age at my own pace. Therefore, I like to be consciousabout what I am doing and like to understand my behavior and experiment with it. Which I know, can be risky as well for my health (age). I do this, with one of my biggest hobbies: Quantified Self. Somehow in relation to that, I like to chat about free will, the existence of life, the future of humanity, and about effective altruïsm. Next to that, I like to do sports (more team sports), traveling inside of Europe and outside of Europe. And lastly, I like to hang out with my girlfriend and other friends. I also need to confess my geeky interests, which are dinosaurs and Star Wars. I am employed at two employers. My primary job is at the Hanzehogeschool Groningen where I am an ambassador for the Quantified Self Institute. At the Hanze I work on several projects which are all related to Quantified Self and Wearable technology. My secondary job is at Fysiofit Zuidlaren, where I also have several functions. Below I elaborate on that. This is a project where we cooperate with several partners to create a Healthy workplace (link in Dutch). We are using environmental sensors (CO2, temperature, etc. ), wearable technology, location tracking, micro-surveys, and dynamic furniture to achieve a healthy workplace. We are using a Livinglab where using continuous experimentation to understand which aspects contribute the most to a healthy work environment. A project where employees of the Hanzehogeschool receive training and coaching using wearable technology, workshops, and fresh boxes. With single-subject research (QS) we try to understand the effects of the program on an individual level (link, in Dutch). Healthquest is an application for people who want to live healthier. With knowledge, social support, and personalized goals we try to engage users. 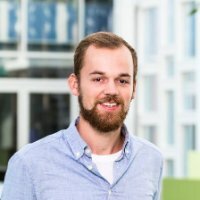 Personalization of the application is achieved through artificial intelligence, which makes the project unique (link, in Dutch). In this project, we are trying to make activity trackers of use for physiotherapists, and nurses. Therefore, we are designing a guide for professionals, and users to pick the right device. My specific task was to look at the trends and the usefulness of wearables on the commercial market. At Fysiofit Zuidlaren (link, in Dutch) I provide personal training, give group lessons to youth, and give lifestyle lessons and weight loss training to adults. Master’s degree in Human Movement Sciences at the University of Groningen. I specialized in Healthy Aging where I wrote a review on the use of Heart rate Variability for workers using wearable technology. Afterward, I performed my thesis project at the Quantified Self Institute/Hanzehogeschool Groningen where my projects concerned “Factors influencing the adoption of wearable technology” and “Guided breathing using mobile applications”. Pre-Master’s degree Human Movement Sciences at the University of Groningen. I completed one year of pre-masters to learn about math, research methods, and (neuro) physiology/psychology to be able to attend the Master’s program. Bachelor’s degree in Sports, Health, and management at the Hanzehogeschool Groningen. At the Hanzehogschool I achieved the skills to become a lifestyle adviser, organizing health interventions, and project management. I specialized in lifestyle interventions. I am a board member of this movement because I want to make the world a better place. Unfortunately, not enough people want to achieve the same, and the efforts that we are doing are not always effective. With this movement, we try to research, talk, and reach people to achieve our goal. At an online platform from AEGEE-Groningen (the Gronoloog) I was an editor and blogger on several articles. I was chairman of the organizing team that organized a two-week lasting program for a large group of international students. With the theme “Insane in the Brain” we tried to focus on the effects of psychological dynamics within and between groups, brain-damage, and social exclusion. In this year I was the treasurer of the Activity Committee that organized several activities for AEGEE-Groningen members. With this group, we organized a four-day lasting program for a large group of international students. With our theme “LGBT” we tried to raise awareness, and discuss differences among the acceptance of LGBT-right over different countries.